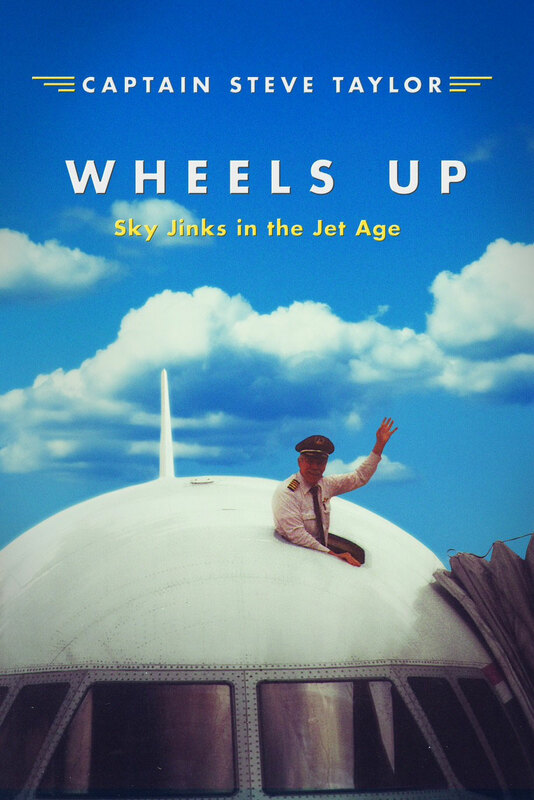 SKY JINKS SECOND BLOG: This is from the opening of a "WHEELS UP" story that almost landed me in jail. Quincy Fowler was a violent man. At least he had a violent reputation, and he seemed to cherish that reputation. His foul-mouthed wife told him she was leaving and wanted a divorce. He made it known that anybody assisting her in this endeavor would incur the full measure of his wrath. Sometime during the divorce proceedings a courier arrived with papers for Quincy. The house, which had never been painted, was landscaped with a dirt yard and several old pieces of machinery. Quincy sat on his front porch wearing overalls and no shirt, his ample belly spilling over the sides of the bib. Chickens pecked around the front steps as the courier asked if he was Mr. Fowler. Quincy spat a stream of tobacco juice, glared menacingly at the messenger and took the delivery. As he looked at the information, one of his chickens jumped up on the end of the porch. Without getting out of his chair, Quincy retrieved his 12-gage shotgun from inside the front door. Given the closeness of the wall and ceiling the blast was deafening. Chicken blood and feathers exploded all over one end of the porch and dirt yard. “I told them chickens not to get on my porch,” Quincy said. The terrified courier left. Quicker than you could say Quincy Fowler, word spread around the Montgomery County legal community, and Mrs. Fowler could not find a lawyer to represent her in her divorce. Cut ’N Shoot, Texas, is a small town in Montgomery County, about six miles outside of Conroe. It did not get its name from cutting cattle and driving them into a chute. The name was actually derived in 1912 when a confrontation between two church factions frightened a small boy. Evidently, to escape the conflict, he said he would cut around the corner and shoot through the bushes. During the East Texas oil boom of the 20s and 30s, the mixture of oilfield roughnecks and cowboys did provoke some cutting and shooting. Through the years the more violent meaning of the name endured. Quincy Fowler lived in Cut ’N Shoot. Heya i'm for the primary time here. I came across this board and I in finding It really helpful & it helped me out a lot. I hope to provide one thing again and aid others such as you helped me. Hello mates, how is the whole thing, and what you would like to say on the topic of this paragraph, in my view its in fact awesome designed for me. It's actually a cool and useful piece of info. I'm glad that you just shared this useful info with us. Please stay us informed like this. Thanks for sharing. Hello, I log on to your blogs regularly. Your humoristic style is witty, keep doing what you're doing!